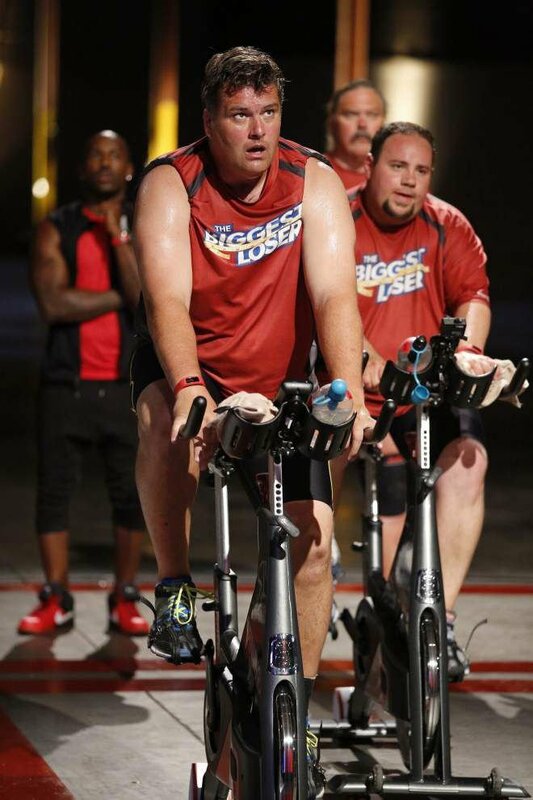 NBC photo by Trae Patton -- Matthew Miller competes on Season 16 of 'The Biggest Loser.' Pennington Biomedical Research Center researchers worked the NBC's 'The Biggest Loser' to study the metabolic rates of contestants on the weight loss show. NBC photo by Trae Patton -- From left, Dolvett Quince, Scott Mitchell, Mike Murburg and Jordan Alicandro work out on an episode of 'The Biggest Loser.' Pennington Biomedical Research Center researchers worked with NBC's 'The Biggest Loser' to study the metabolic rates of contestants on the weight loss show. Weight loss never looks easy on “The Biggest Loser,” NBC’s hit reality show about obese contestants working hard to drop 100 pounds or more. Contestants run, hike and lift weights for hours a day, then carefully monitor their diets to lose as many pounds as possible in competition for a $250,000 prize. During the show’s eighth season in 2009, researchers from the Pennington Biomedical Research Center learned that the drastic weight loss had a startling effect on the contestants’ bodies. They published the results of the study in last month’s issue of Obesity, a medical journal. “We don’t see this in the average American: They don’t approach weight loss by exercising two to four hours a day, as their job.” said Darcy Johannsen, an assistant professor at Pennington. 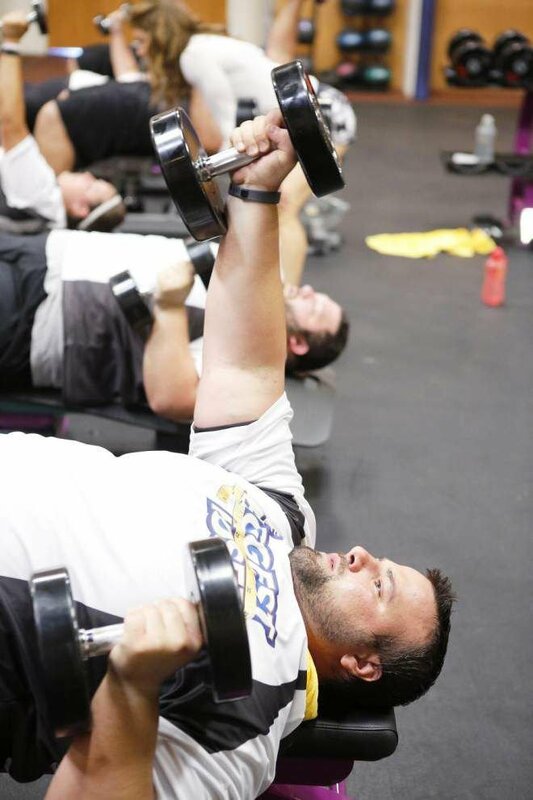 On “The Biggest Loser,” contestants lose an average of more than 100 pounds in less than a year. When Johannsen and Eric Ravussin, director of Pennington’s Obesity Research Center, studied the show’s 16 contestants, the competitors stayed at a California ranch for four months, working out regularly and choosing from a variety of foods, temptations and healthy choices. Contestants were eliminated regularly until only four remained. Then they returned home for 60 days to continue weight loss management on their own before the show’s finale. The researchers visited the contestants before the show and at the finale to take a few key measurements. Their question was whether “The Biggest Loser” contestants would keep a high metabolic rate, the measurement of how quickly a person burns calories. When a person’s metabolic rate drops, it makes it harder to burn calories. Most doctors believed that dieters who worked out often would keep more fat-free mass, which is made up of skeletal muscle — the biceps, quads and things routinely called “muscles” — along with organs, tendons and basically everything else that’s not fat. And by keeping more of their fat-free mass, many doctors assumed, the dieters’ metabolic rate would remain higher and help them burn calories at a rate similar to what they were used to. Contestants on the show kept a lot of their fat-free mass. They lost about 17 percent of it, which was great compared with surgical weight-loss patients who underwent a form of gastric bypass. Those patients lost an average of 30 percent of their fat-free mass. But the show’s contestants saw a larger drop in their metabolic rates, Johannsen said. The researchers assumed they would burn a few hundred calories fewer each day after their weight loss. However, their metabolic rates dropped further than that. “In fact, it actually fell 500 calories more than predicted, which we can’t explain,” Johannsen said. The weight-loss surgery patients did not see such a marked drop, she said. For the contestants, keeping off their weight loss could be difficult because their bodies have adapted to a lower metabolic rate. “If they go home and they don’t continue this program of exercise and restriction, they are more likely to put the weight back on,” Johannsen said.